Eptesicus anatolicus recently regained a species status after having been considered within E. bottae. 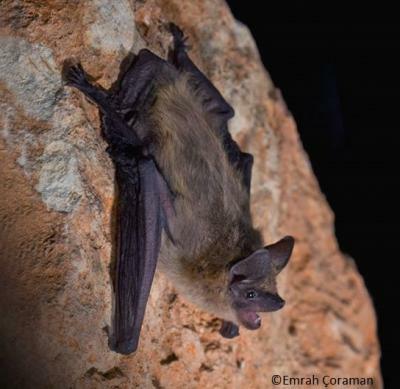 The species is similar to the common serotine, but a bit smaller, with black face, ears and membranes and short, relatively pale dorsal fur. It favours coastal zones with little vegetation and it roosts in wall cracks. No information is available on its diet, though it is expected to hunt ants, moths and beetles as E. bottae does. This is found in Anatolian Turkey in a coastal strip that extends to Syria. In Europe, it is only recorded on Rhodes and Cyprus.